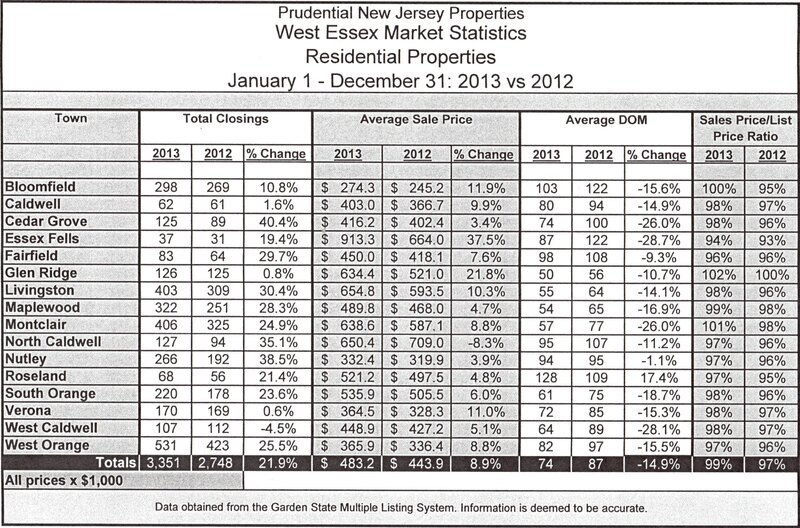 The following illustrations will give insight as to how the Essex County housing market fared for 2012 vs. 2013. 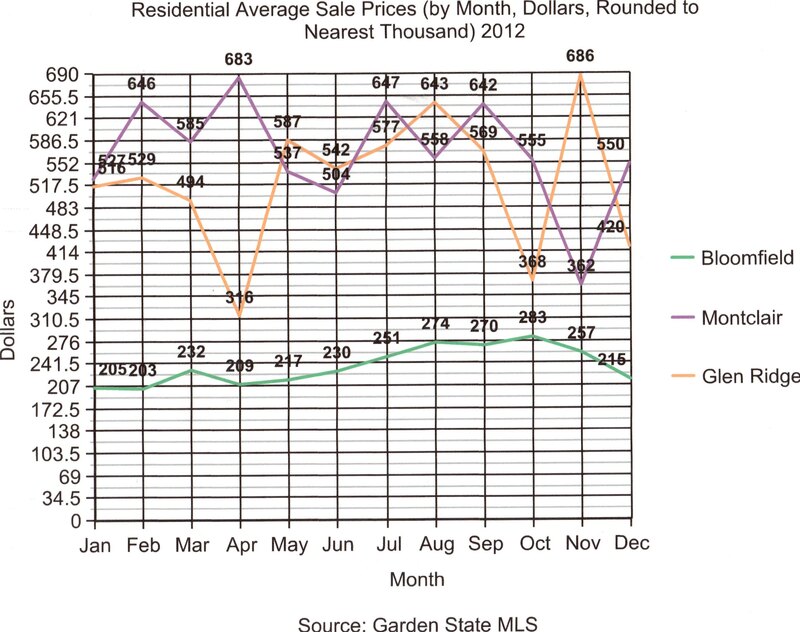 All information comes from the Garden State Multiple Listing Service. 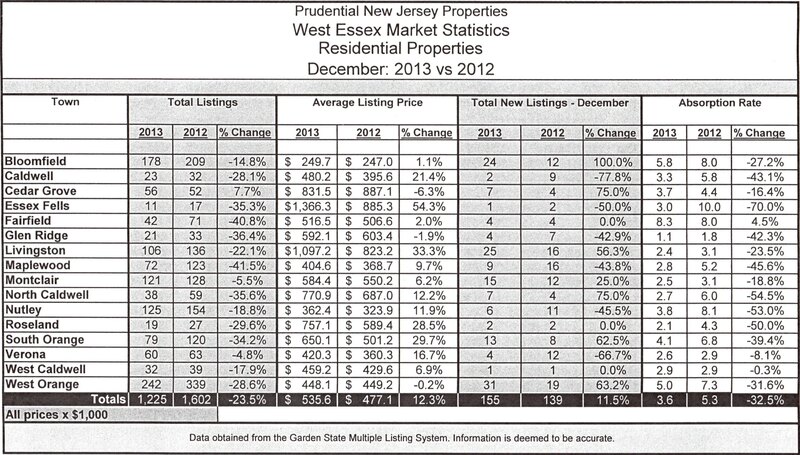 While the individual results vary from town to town, the overall averages point to an improved and more robust market. 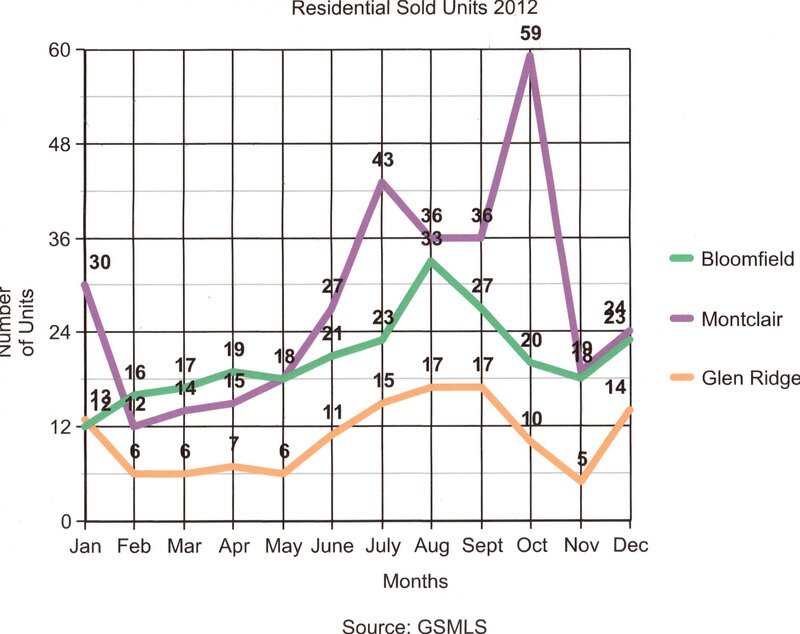 Total listings are down (less inventory) in 2013, the average list price increased by an average of 12.3% reflecting renewed seller confidence and the absorption rate (the number of months it would take the market to absorb – sell – the inventory for sale) fell by 32.5% to 3.6 months. The last time we saw absorption rates that low was during the boom years which ended in 2006. Again, 2013 was more robust compared to the previous year. 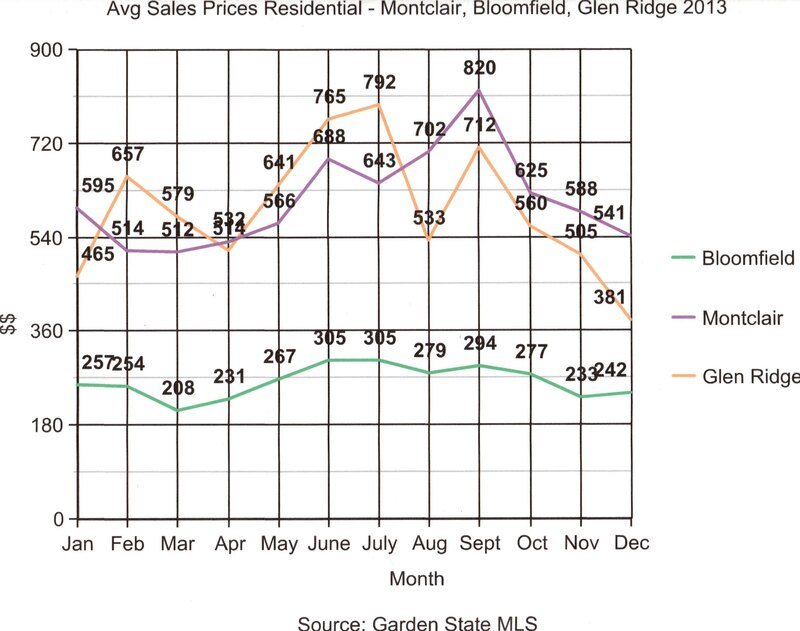 The total number of closings increased by 21.9%, the average days on market fell by 14.9% from 2012 and the average sales price increased, county-wide, by 8.9% – a substantial 1 year increase. Sellers got 99% of what they asked on average as opposed to 97% in 2012. Remember, we’re dealing with hundreds of thousands of dollars per transaction, so a 2 point increase represents real money. The peaks are more sustainable and the numbers are bigger, sometimes significantly so. Seasonal prices are evident and the end of year lines still sink down to where they were at the beginning of the year. 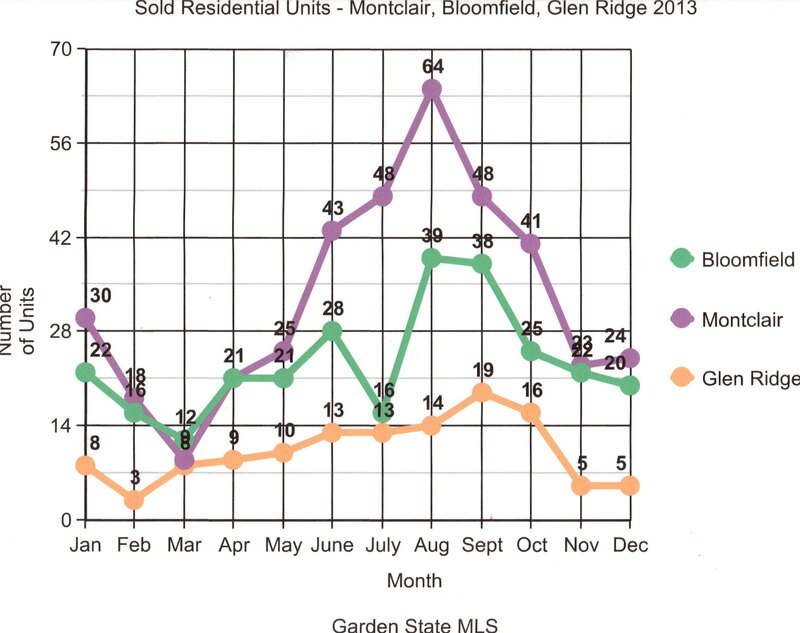 Glen Ridge, interestingly enough, exhibits an almost identical trend line with slightly bigger numbers for 2013 over 2012. The conclusions are that the market is definitely on the upswing and strengthening year over year. All the pundits point to increases until 2016 or 2017 when the next down cycle will occur. Remember, the real estate market for the past 50 years or so has been a wave of 5 years up and 5 years down with the exception of the 10 year rise from 1996 to 2006 which was an anomaly. Therefore, we can expect another dip at the end of this 5 year cycle which started increasing in 2012. The soothsayers are also saying the corrective dip at the end of our current cycle will be mild. The advantage between buyers and sellers has evened out with neither having the sole upper hand. As long as credit continues to flow we should see a market that will benefit all its participants for the next few years.